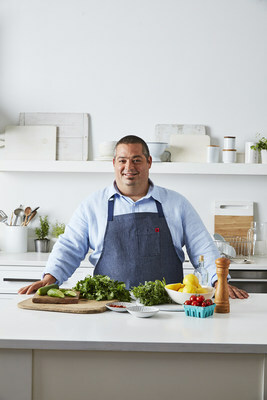 NEW YORK, Dec. 6, 2018 /PRNewswire/ -- Today, WW (NASDAQ: WTW) announces the release of Cook Up Comfort – a new cookbook featuring 160 WW Freestyle™ recipes for comfort food classics, developed in collaboration with acclaimed LA-based chef, restaurateur, television personality and WW Ambassador, Eric Greenspan. 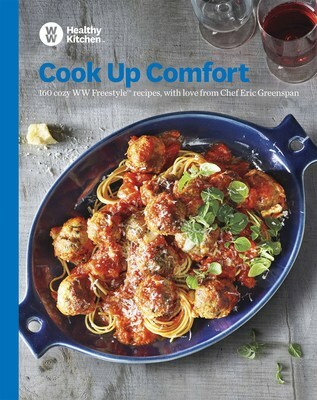 Cook Up Comfort – available for purchase in WW Studios nationwide and online at ww.com/shop – brings to life the ease of cooking healthier versions of classic comfort food and holiday favorites. The cookbook features delicious recipes rich in nutritious ingredients, alongside testimony from Greenspan – the "King of Comfort Food" – tied to his success on the WW Freestyle program. "Today, everyone wants to eat healthier while still enjoying the foods they love," said Stacey Mowbray, President of North America at WW. "Cook Up Comfort provides inspiration for people to make healthier versions of comfort food favorites that everyone in the family will enjoy." "As a chef, I refuse to sacrifice flavor. I've spent more than 20 years working in some of the world's top kitchens and opening up restaurants of my own, and with WW Freestyle I am rediscovering my love for food. Cook Up Comfort is proof of that," said Greenspan. "We can cook meals that emphasize flavor in a healthy way that is still enjoyable; now I have a fresh satisfaction knowing I can cook at home for my family and nourish them with balanced meals that are absolutely delicious." Cook Up Comfort is part of WW Healthy Kitchen – a portfolio of products, tools, content and experiences designed to make healthy cooking and eating much simpler, easier, and joyful. For more information on where to find a local WW Studio to purchase Cook Up Comfort, please visit ww.com. Cook Up Comfort is also available for purchase at ww.com/shop. WW is a global wellness company and the world's leading commercial weight-management program. We inspire millions of people to adopt healthy habits for real life. Through our engaging digital experience and face-to-face group workshops, members follow our livable and sustainable program that encompasses healthy eating, physical activity, and a positive mindset. With more than five decades of experience in building communities and our deep expertise in behavioral science, we aim to deliver wellness for all. To learn more about the WW approach to healthy living, please visit ww.com. For more information about our global business, visit our corporate website at corporate.ww.com.